Watertown’s newest firefighter, Cory Donahue, who was appointed on Nov. 4, 2018. The Watertown Fire Department welcomed Cory Donahue as the newest member of the Department. Town Manager Michael J. Driscoll appointed Donahue as a firefighter for the Town of Watertown, effective Sunday, November 4, 2018. 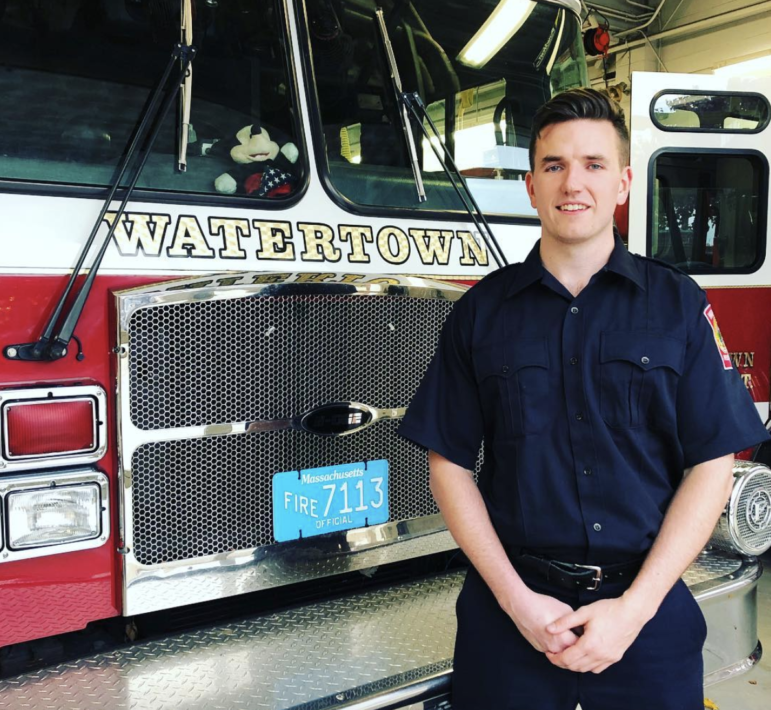 The Watertown Fire Department welcomed him on its Instagram page: Please join us in congratulating Firefighter Cory Donahue as he begins his career with the Watertown Fire Department.